Economic Developers Alberta (EDA) - What's New? Read about the Conference and register today. Points can be applied to your professional certification. Complete schedule of online courses here. Tickets are selling quickly. Don't miss out on networking with economic development professionals as well as key government officials such as Minister Deron Bilous, Economic Development and Trade and Minister Shaye Anderson, Alberta Municipal Affairs. Read the other key officials who have RSVP'd so far. This dinner sells out each year. Become a sponsor of this prestegious event. Only one sponsorship opportunity left! Read about the course and register here. 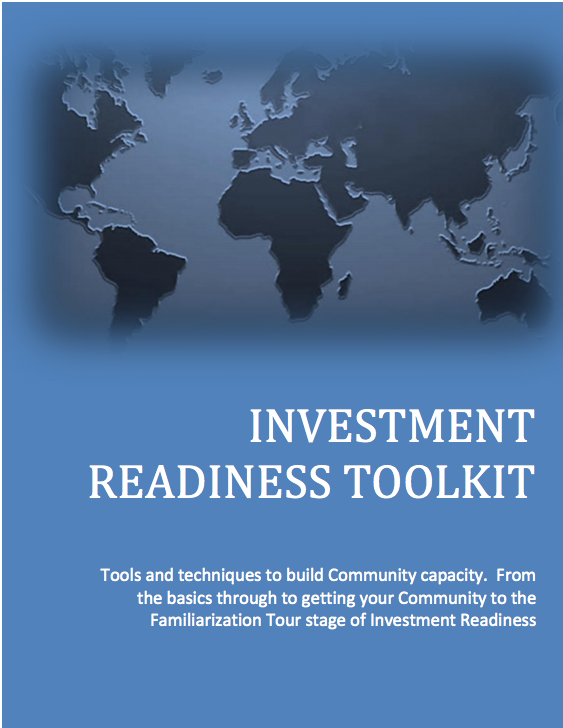 Read why this course is an essential tool for these community leaders. EDA CEO Leann Hackman-Carty and EDA board member Martin Ebel will be welcoming you to our booth #63. For more information and to register go to www.auma.ca. Toronto, ON (September 6, 2018) – Economic Developers Alberta (EDA) has received an SDG Leadership Award for its Economic Recovery and Resiliency Program. The Global Compact Network Canada (GCNC), the Canadian network of the UN Global Compact, organizes the award. These awards recognize Canadian organizations that are helping to advance the 17 Sustainable Development Goals in Canada and inspiring others to take action. EDA’s strategic partner, the International Economic Development Council (IEDC) has helped to accelerate and expand EDA’s work in this area. Since its inception in 2015, the GCNC has played an important role in bringing the business case of the SDGs to Canadian businesses, and advocating their adoption and implementation. "The SDG Leadership Awards are Canada’s celebration of the SDGs and an inspiration for business leadership. Today we will celebrate and recognize organizations and businesses who are doing great work to help advance the SDGs and inspiring others to take action to create the future we want," said Helle Bank Jorgensen, President Emeritus, Global Compact Network Canada. We would like to take a moment and remember this is the 5th Anniversary of the 2013 flood that swept through Southern Alberta. EDA's response to that disaster was the creation of our Economic Disaster Recovery Program. Read about our Economic Resilience Training for Community and Regional Leaders which began in 2017. Watch this YouTube video on why this type of training is essential to your community's economic health. Economic Developers Alberta is eligible for a national award and you can help us to win it! Called the SDG Leadership Award, it recognizes organizations taking a leadership role in driving action toward the United Nation's Sustainable Development Goals in Canada. The awards are organized by the Global Compact Network Canada (GCNC) the Canadian chapter of the UN Global Compact, which promotes a voluntary corporate strategic policy initiative for businesses that are committed to aligning their operations and strategies with 10 universally accepted principals in the areas of human rights, labour, environment and anti-corruption. Economic Developers Alberta, has submitted it's economic disaster recovery and resilience program as it aligns with the advancement of the Sustainable Development Goals. We are the very first entry for this award! You can help us to win this award by voting for us. Please click on this link to read our entry; scroll to the bottom of the page where you can vote. By participating in these awards we hope to inspire other organizations to embed the SDG in their practices and help to create a more sustainable future. Congratulations to Natalie Gibson! Natalie wins a free EDA Membership for 2019. Many thanks to all those who tweeted their videos these past few days to celebrate International Economic Development Week. Our judges were looking for a short (approximately 30 seconds), "selfie-style" video in a passionate voice explaining why economic development is important or why you love your job as an economic developer! or both! We would like to give a shout out to Angela Groeneveld and her entry. Talk about passion! Thanks everyone for taking part in this very first contest of its kind for EDA. We plan to build on this in the future and look forward to your participation!